Because everything is integrated, it’s recommended to call a plumber if you have no experience working on your pipes and aren’t sure what to do. Even issues that seem like they might be simple can expand into something monumental if you aren’t careful! To stay on the safe side, you can always call John’s Plumbing & Pumps, Inc to work on your plumbing in Parkland. Our crew is knowledgeable; we have over 60 years of experience working in the industry. We’re versatile; we can work on residential and commercial plumbing systems whether they’re on city water or a private well. And we’re efficient; we work quickly to solve the problem so that you can get back to doing what’s important to you! We do more than plumbing repairs! While most people call us to be the plumbing solution, we can help with upgrading around your home as well. If you have a water softener–or would like to get one–we can work on those too, including making sure it functions as it should. Considering a whole home filtration system? We can recommend some that are top-of-the-line, as well as install it and test that it operates properly. Have more ideas? Call us up and we’ll see if we can help! 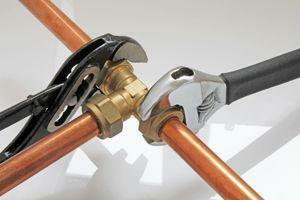 What are some common plumbing issues you deal with? Clogged toilets. When the plunger just isn’t enough and you’ve tried a chemical drain cleaner, (check to make sure it’s okay to use in toilets!) it might be time to let us give it a try. Tree roots, enormous wads of toilet paper, and things that clearly shouldn’t be flushed down a toilet are just some of the reasons clogs happen. Drain Cleaning. You should be able to run the water down your sink or shower at full pressure and not have it back up. If it does, a dirty drain could be the culprit. Using conventional rooters as well as advanced techniques like hydro jetting, we’ll make sure that your drains are cleared up. Leaks and drips. A dripping faucet is irritating, especially when it persists despite your best efforts. 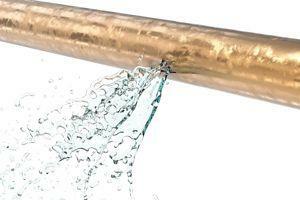 But pipe leaks can be even more annoying, as well as cause damage to your home in the process. If you can’t find the source, leave it to our leak detection plumbers. Drips and leaks don’t stand a chance against us! When you choose us to help with your plumbing in Parkland, we do more than good work at a fair price. We treat you right too. We understand that you have to make time for a plumber to stop by, so we always keep our appointments. With honest estimates and only suggesting repairs that you need, we won’t try to take advantage of you. And we always leave what work we do up to you. Call us today and let us get right to work!